It is no secret that housing prices in the Pacific Northwest, specifically on the Eastside are ever increasing. Although the Eastside is known for being affluent and overall well-off, there are many whose lives are affected by homelessness. 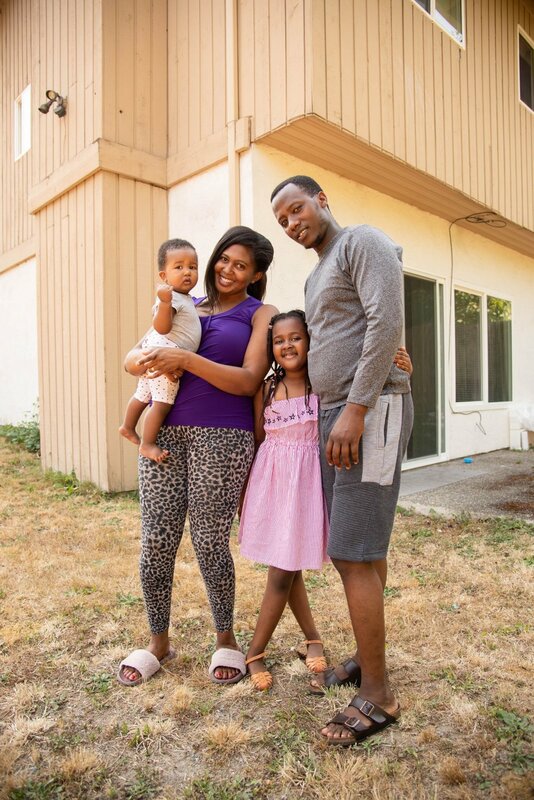 Attain Housing is a local organization that has been a resource for both families and individuals in the Eastside since 1989. They are dedicated to providing housing support to those who need it through various programs. For example, The Transitional Housing Program helps families with one or more child under the age of 18, find a stable place to live for up to two years in one of Attain Housing’s 32 homes. Once the factor of homelessness is removed from their lives, each family will work with a case manager to set individual goals that work towards making the family stable for the long term. This includes goals like graduating high school, getting a college degree, or getting a stable job. Being a smaller organization they are able to work with the families to provide an individualized approach to the solutions they provide. The case managers are able to customize the path of each family with hopes of working towards a more permanent housing situation. In addition to setting goals, Attain Housing and their case managers work with the families to teach them how to be responsible tenants, so when they do find permanent housing, they are able to maintain that lifestyle. For instance, they charge all families who live in this transitional housing some form of “rent”, sometimes as low as $100, or 30% of their income. The point of this is to teach these families that they are responsible for this payment at the beginning of each month. This is a skill that can help minimize their risk of homelessness in the future. “Helping homeless families build strength and get a new start since 1989” We found this quote on Attain Housing’s social media page, and felt it best reflected what they do, build strength and new starts. Rather than giving handouts, this organization has taken it a step further to actually make a change and for that change to not be reverted back to old ways. The best example of this can be found in their quickly growing eviction program, which helps anyone living on the Eastside who is about to lose their housing. In most cases, a momentary need for financial help rather than a long term problem, such as a medical bill or car problems, has prevented them from paying rent. With the help from Attain Housing, all 100% of Eviction Program recipients are still in their homes 3 months later. A momentary need for help did not completely derail the lives of 101 families that benefited from this program so far, but rather this support helped them avoid homelessness and a plethora of issues that come with that. The success of these programs can be attributed to the fact that Attain Housing serves as a resource for these families, rather than a crutch. By providing assistance, the families themselves are making all of the necessary changes they need in order to become self-sufficient and break the cycle of homelessness altogether. When we interviewed Kathy Fleming the Executive Director of the organization, she said Attain Housing “helps people help themselves”. Attain Housing works to get the entire community involved in giving back. Various community events like weekly community suppers, and the 7 Hills of Kirkland Charity Bike Ride, not only raise money for this amazing cause, but they are educating others about this often ignored need here in the Eastside. This organization is a pillar in the community and we at Windermere Kirkland are honored to help them help others through our sponsorships, grants, and volunteering. Want to get involved? Here’s How! Attain Housing hosts weekly community suppers that are hosted by various organizations and groups, have yours host one! Ride or volunteer at the 7 Hills Of Kirkland Bike Ride on Memorial Day, May 27th, 2019. Windermere Kirkland is a proud sponsor of this years’ 7 Hills Bike Ride! Help house more homeless families by leasing your homes or apartments to Attain Housing. They are always looking for affordable housing on the Eastside for their Transitional Housing Program. Safe housing for one person for one night costs $20, donate today! Plan to attend their annual fundraising Luncheon on September 26th and help celebrate 30 years of success! WINDERMERE REAL ESTATE / CENTRAL, INC.